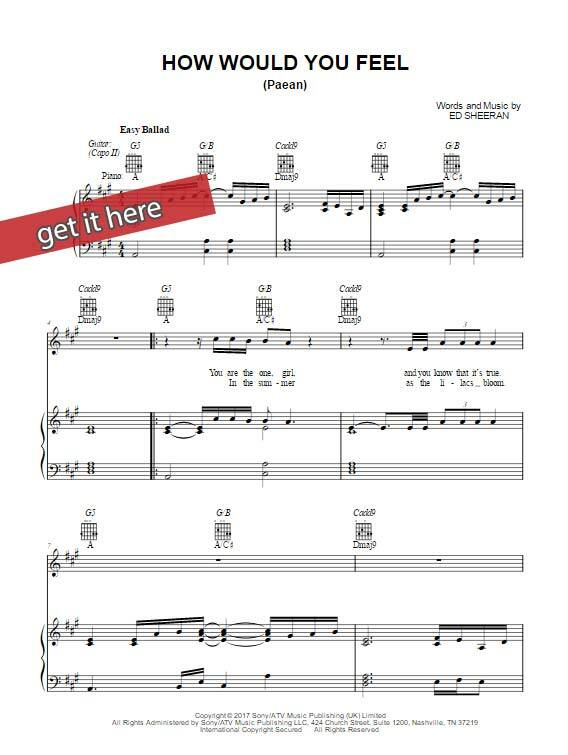 Learn Ed Sheeran How Would You Feel (Paean) Sheet Music, Piano Notes, Chords in minutes. Watch free video tutorial lesson and start in no time. This is a 4-page score that was composed solely by the singer himself. The tempo is easy ballad of 69 beats per minute.